Noor (Sonakshi Sinha) to release April 7, 2017!!! Balaji Motion Pictures, Mohit Suri & Chetan Bhagat’s Half Girlfriend, starring Arjun Kapoor & Shraddha Kapoor, to release on 19 May 2017. Trailer of Ajay Devgn’s Shivaay will be 3 minutes and 40 seconds long! Bhumi Pednekar, who is about to start filming for her second film, will play a contract killer in her third film which is tentatively titled Sejal Supari. For the role, she will undergo a complete makeover. It will be directed by Delhi Belly director Abhinay Deo and is said to be produced by Sanjay Leela Bhansali. Former Miss India Sobhita Dhulipala (RAMAN RAGHAV 2.0) has been roped in for Akshat Verma’s KALA KAANTI along with Saif Ali Khan. It is touted to be a dark comedy where Sobhita will play the female lead and is the love interest of Kunal Roy Kapoor. The filming of this movie has begun in Mumbai and KALA KAANTI is expected to release early 2017. Will Sanjay Dutt romance exflame Madhuri Dixit in his comeback film? 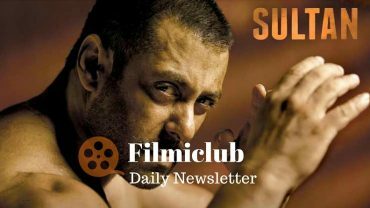 Sultan [Week 4] Fri 57 lacs, Sat 98 lacs, Sun 1.51 cr, Mon 34 lacs, Tue 36 lacs, Wed 34 lacs, Thu 33 lacs. Total: 298.23 cr. India biz. KRK: Today released films Fever n MMishra got earth shattering opening of 24% n 90% shows of both films are cancelled Coz of no audiences. My salute to those 2% ppl who went to theatres to watch films of super stars Arshad Warsi n Rajive khandelwal Fever n MMishra today. Dishoom is holding 1500 screens in 2nd week while there is no other film to compete. Today even Dishoom is running with only 10% occupancy all over India n my salute to those 10% idiots who waste money on such films also. KRK: BaarBaarDekho landing 36+14=50Cr(After deducting rebate) Satellite+Music sold for 29Cr. Overseas share 34Cr. So only 18Cr to get from DBO. The Kapil Sharma Show’s writer arrested for murder.